Dynamic range is the difference between the brightest and darkest portions of any given scene. Photographic systems have limited ability to capture dynamic ranges, therefore it is important to manage the dynamic range within a scene by manipulating lighting and/or composition. For example… an scene lit with only sunlight on a clear day may have a dynamic range of 20 stops, which is beyond the range of currently available systems in a single exposure (multiple exposure HDR notwithstanding.) Therefore it will be necessary to alter the existing dynamic range of the scene by adding supplemental light or other methods of reducing the scenes native dynamic range – or accept the scene will have some areas that are too bright and/or too dark to be fully represented in the image. 1. Aperture (f/stop.) The smaller the aperture (higher f/number) the greater the depth of field, or more in focus. 2. Focus Distance. The farther the primary focus distance, the greater the depth of field. 3. Focal length of lens. The shorter the lens (lower focal length) the greater the depth of field. 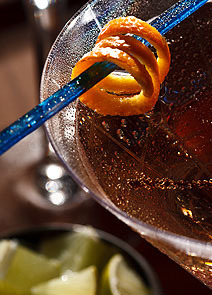 By manipulating these factors the photographer can adjust the depth of field to suit their needs. Many lenses have a printed DOF scale on the lens barrel to aid the photographer in determining how deep the field of focus will be. It’s worth noting, however, that there is no agreed upon standard for what constitutes sharp focus. Therefore scales will differ from manufacturer to manufacturer. Further complicating matters is the fact that in today’s world of different digital sensors within the same platform of lens mounts, a DOF that may have been acceptable with one camera body, may not be on another higher resolution body. Nonetheless, the optical principals of DOF remain the same across all lenses. 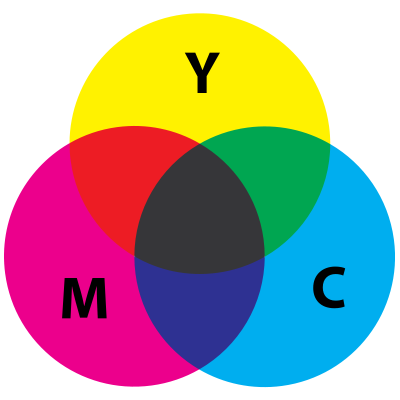 Note regarding subtractive color in commercial printing: Ideally the combination of C,M,Y inks would produce a perfect black, but in practice they do not. Therefore the addition of a fourth black ink (referred to as K) is used. Barn Doors are light modifiers added to an artificial light. Usually consisting of two or four independently hinged cards or flags used to block light from a particular portion of a scene. Bokeh refers to the portion of an image that is rendered out of focus by the lens, or more specifically, the way a lens renders those out of focus portions. Various factors play into a particular lens’ bokeh affect and it’s quality. Bokeh is most visible in images that have a shallow depth of field, as those images have large portions of the image out of focus. Whether or not a lens is said to have “good” or “bad” bokeh is a function of its particular design, specifically aperture blade shape and optical characteristics. 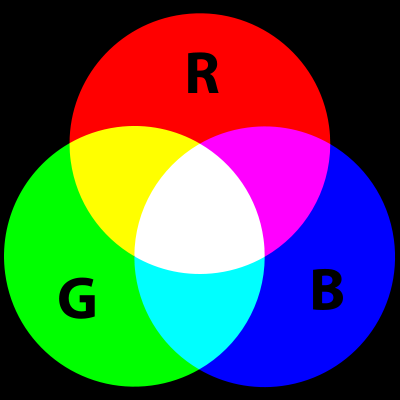 Color Temperature is the description of the color of a light source. Expressed in degrees Kelvin, it’s based on an ideal radiator of light at a particular temperature. Daylight is usually thought of as 5500˚K, incandescent usually 3200˚ or 3400˚ Perceptually, our brains don’t see this difference in color easily, but photographic sensors and films do. 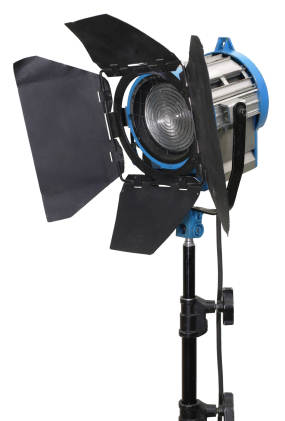 Manual or automatic color balance is fairly easily achieved with digital still and video cameras, but situations with differing light sources and therefore differing color temperatures can present challenges.